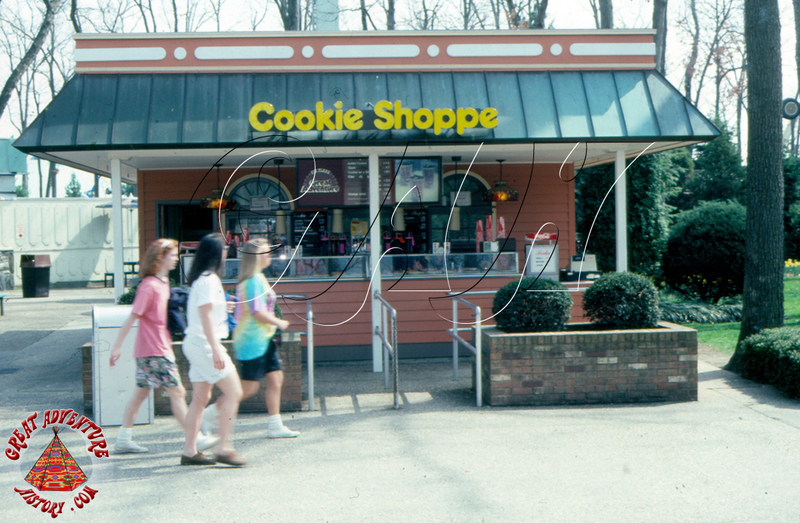 A day at the park seems incomplete to most guests if they don't get a sweet treat, and so parks offer a wide variety of sweets as part of their menus. 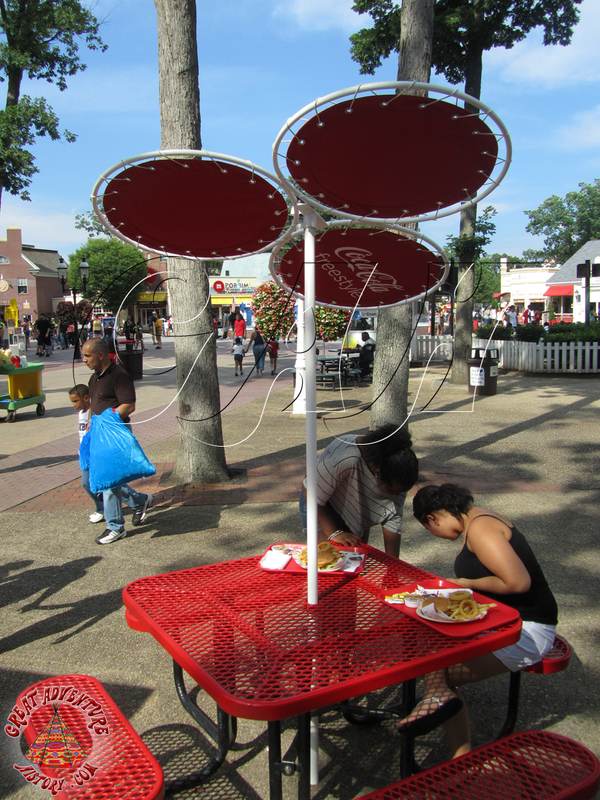 With each new trend in food, parks try to keep up and offer it as an option to the crowds. 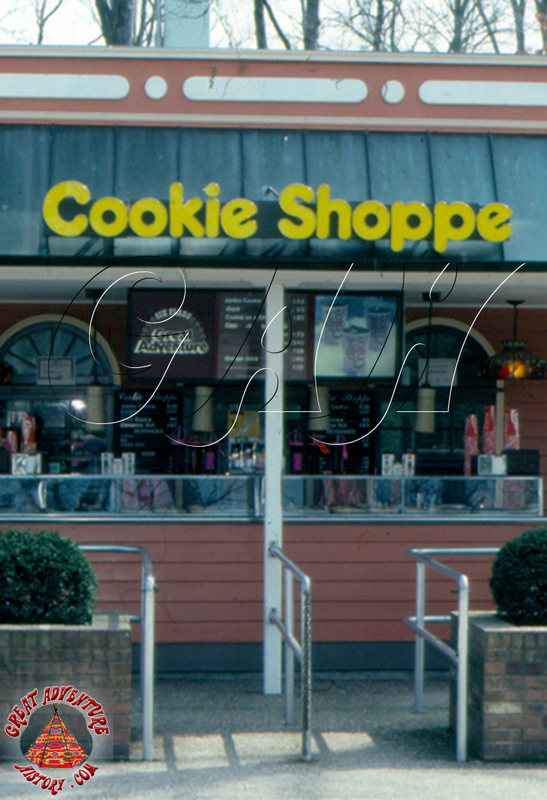 As the 1980's dawned, one of the big food trends in the U.S. was cookies. Makers like Mrs. Field's began selling fresh baked cookies in malls across the country, and theme parks looked to cash in by offering fresh baked cookies along their midways. 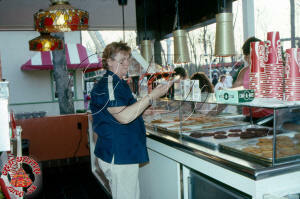 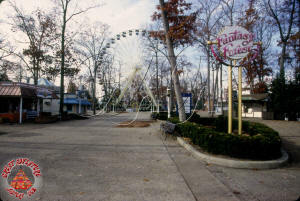 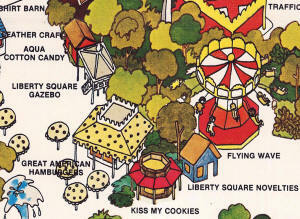 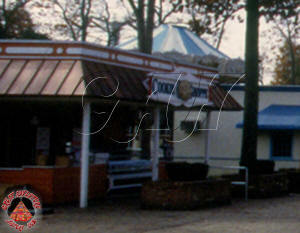 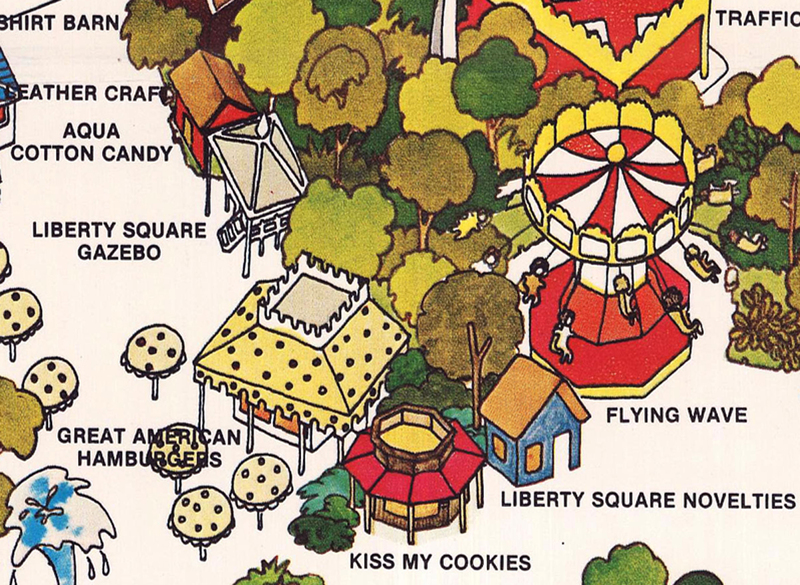 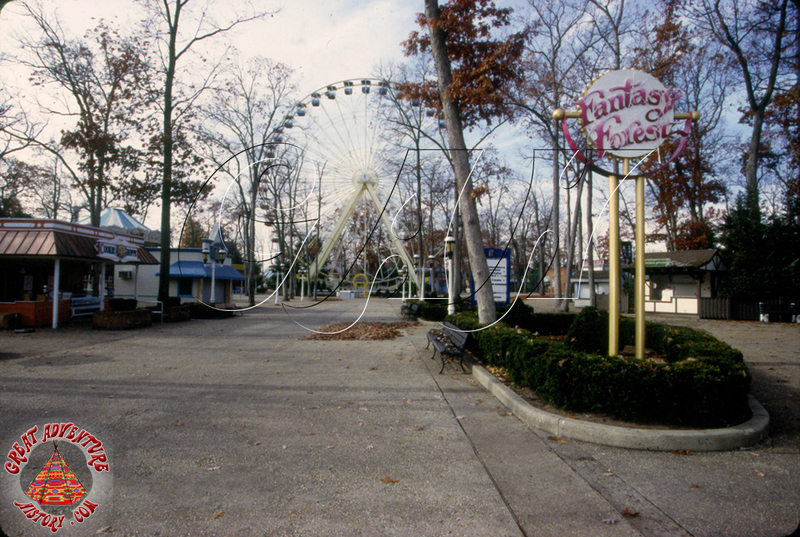 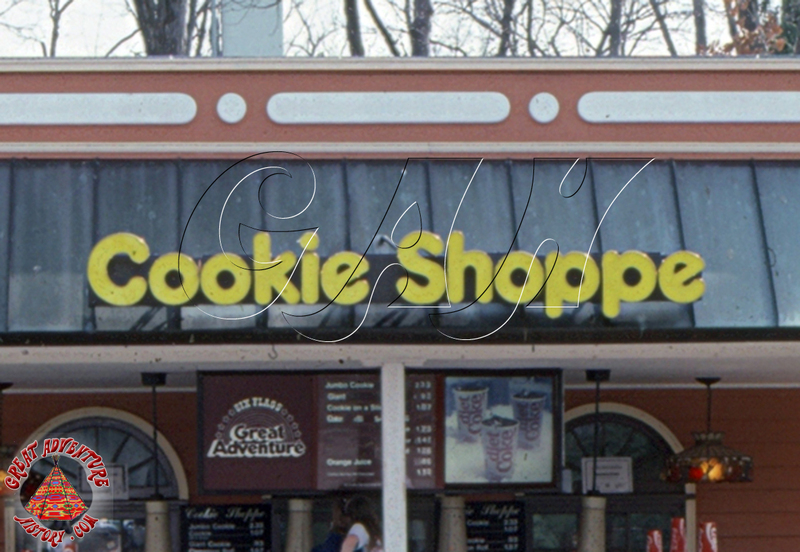 For the 1980 season Six Flags Great Adventure added a new stand called Kiss My Cookies which served giant freshly made cookies. 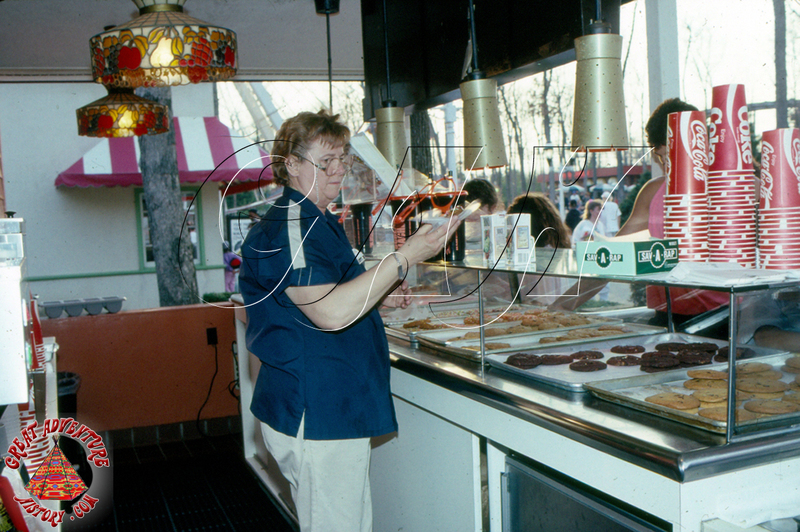 The name "Kiss My Cookies" was a play on the pop culture phrase "Kiss my grits" which was used by the waitress Flo on the sitcom Alice. 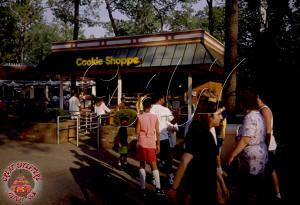 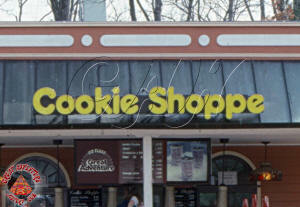 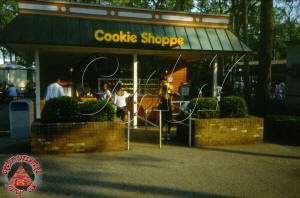 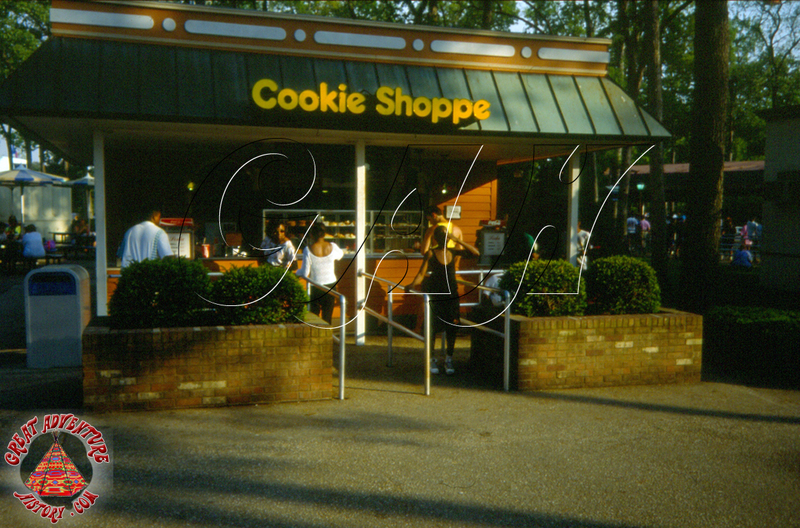 The shop was renamed Cookie Shoppe for the 1982 season. 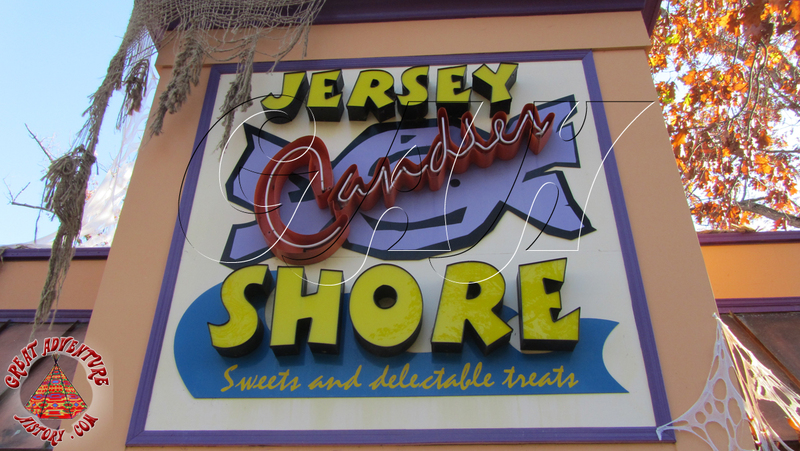 The shop remained relatively unchained through the early 1990's, with the only change being the replacement of its illuminated sign to a more colonial style sign when the neighboring area was rethemed to Main Street. 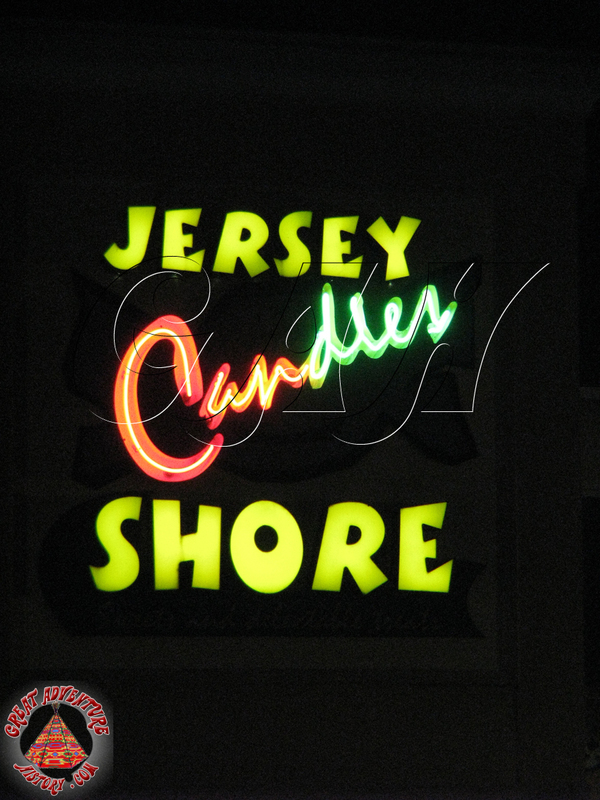 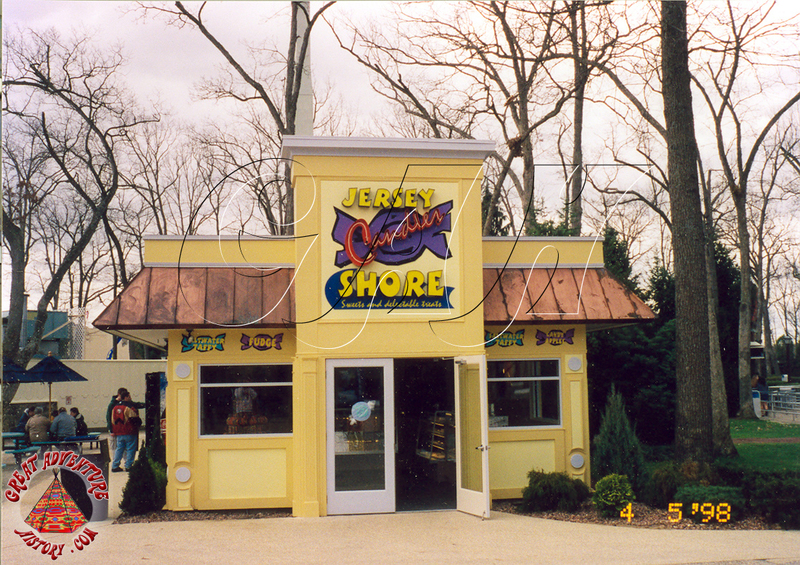 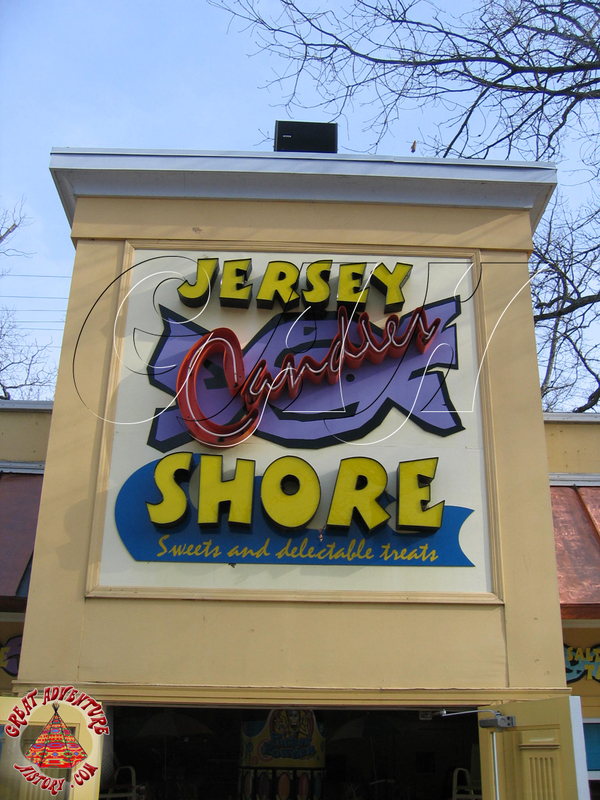 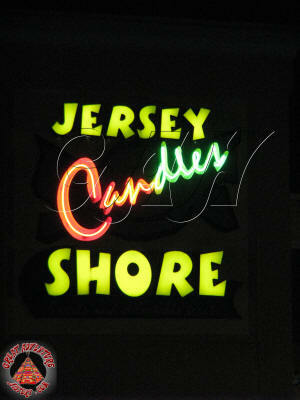 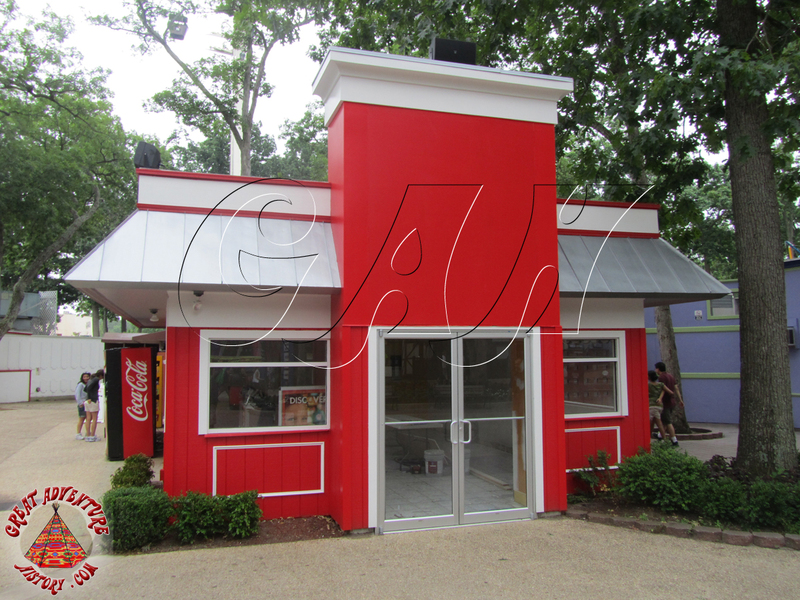 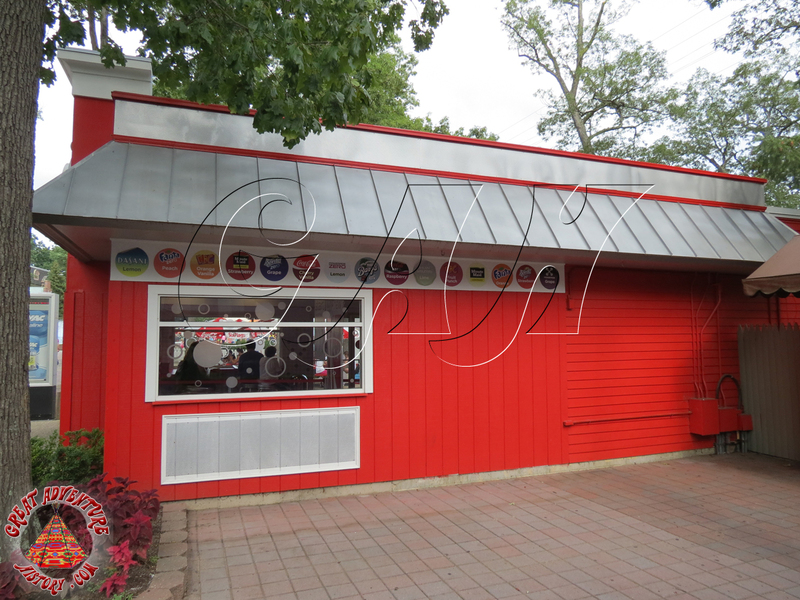 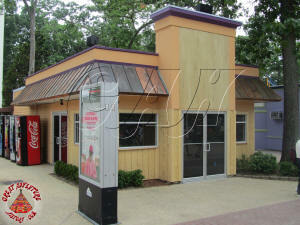 The simple open air design of the shop underwent a big change in 1997 when it became the Jersey Shore Candies shop. The former counter area was removed and the once sizable kitchen area was reduced to a small back storage room. 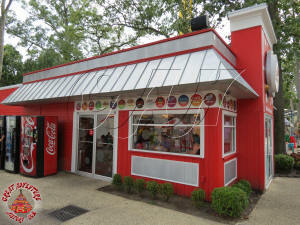 Walls were added to the front of the building where it used to have a covered queue area, creating a climate controlled building more conducive to keeping candy from melting in the summer heat. 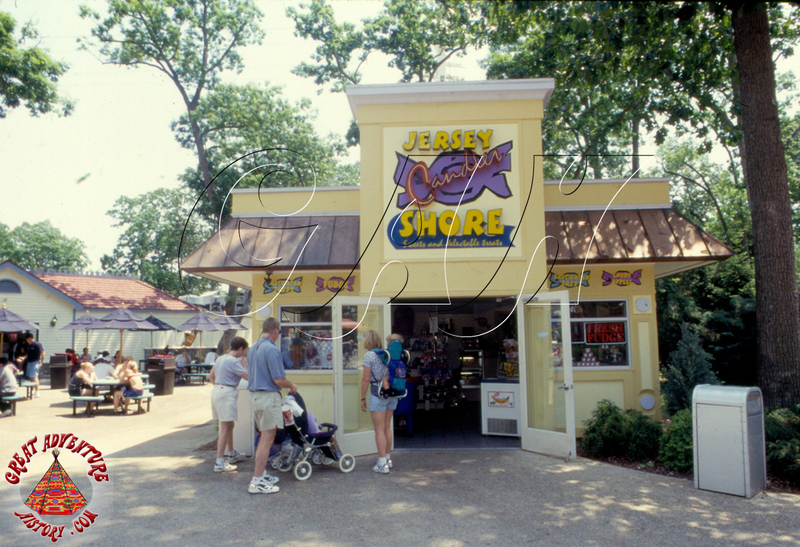 Jersey Shore Candies was one of the three big candy shops in the park for many seasons, selling bagged candy as well as fudge and drinks. 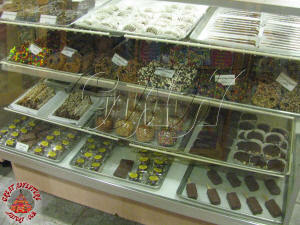 As the seasons went on, a greater selection of candy started being sold in other stores around the park. 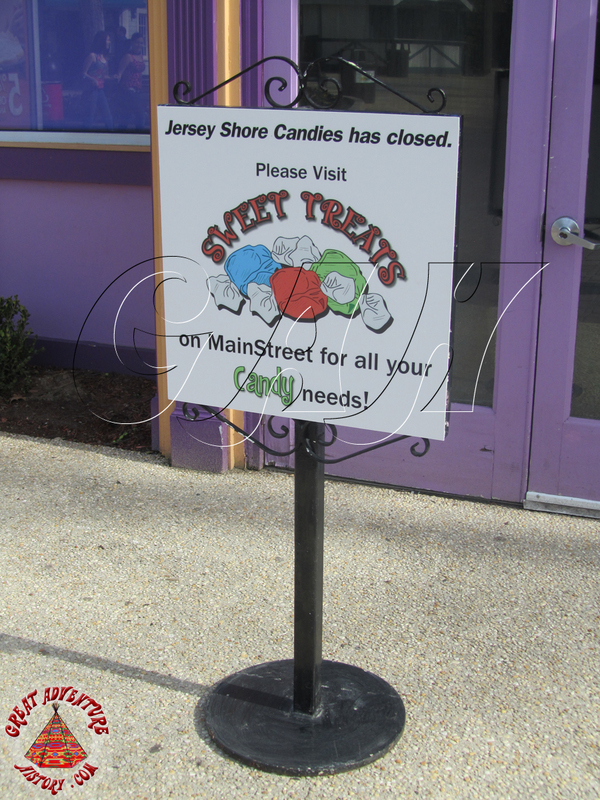 Gradually the store hours were being reduced and eventually it went to seasonal operations. 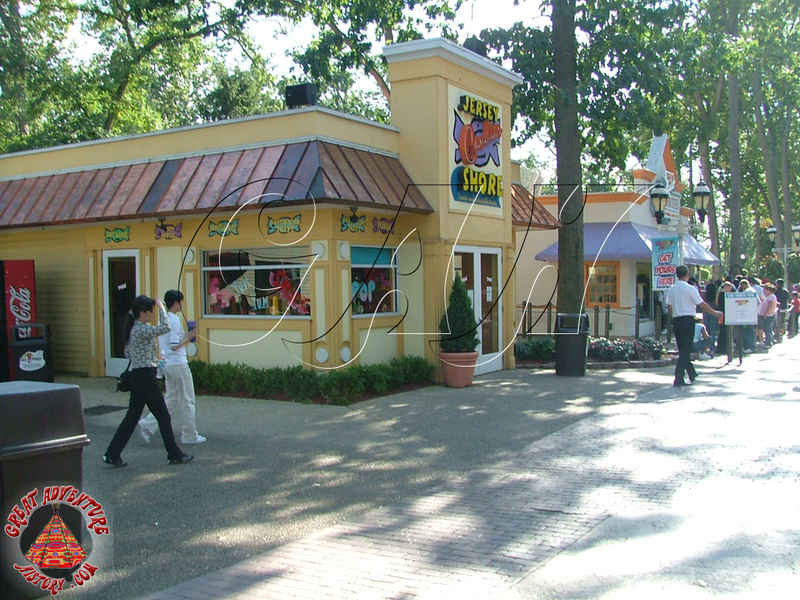 In 2009, the former Declaration of Gifts shop next to the fountain was repurposed to the M-porium - an expansive sized store dedicated to M&M's and other delicious candies. 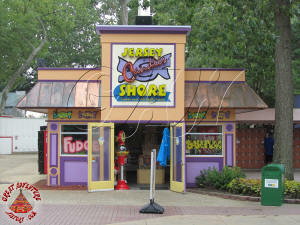 With the M-porium and Sweet Treats both located nearby on Main Street, the need for Jersey Shore Candies was limited, and other ideas for this piece of prime real estate in the park were being considered. 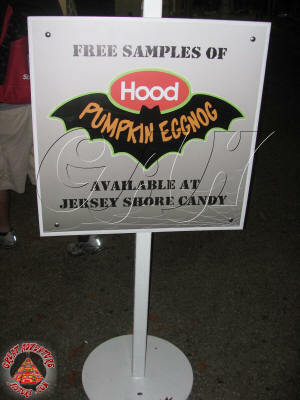 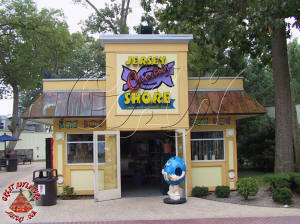 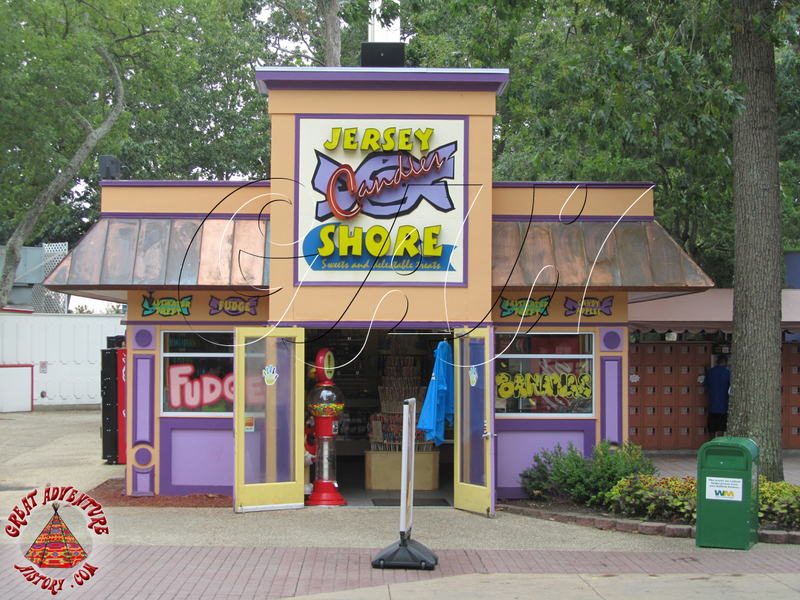 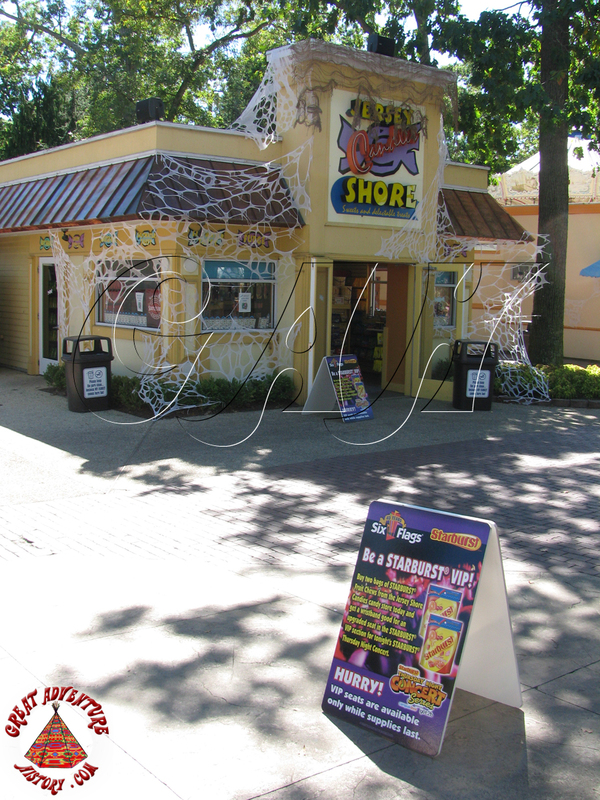 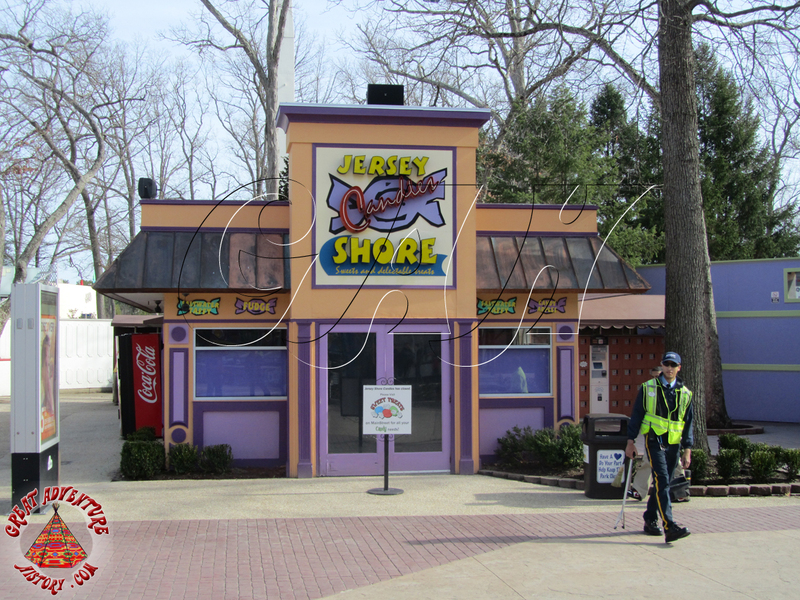 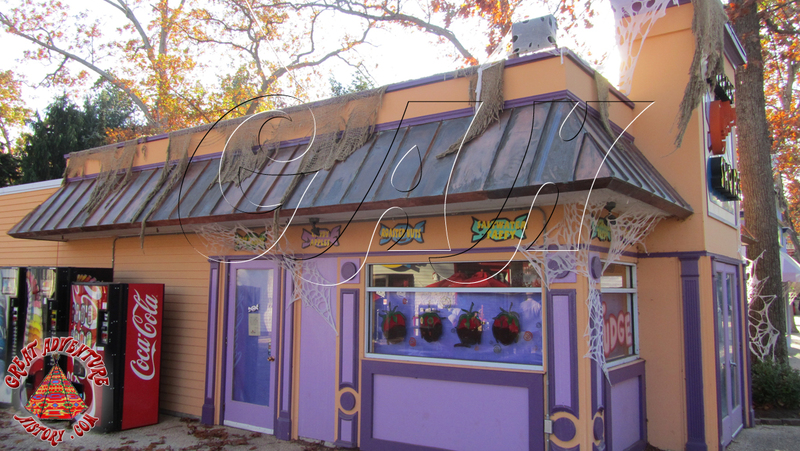 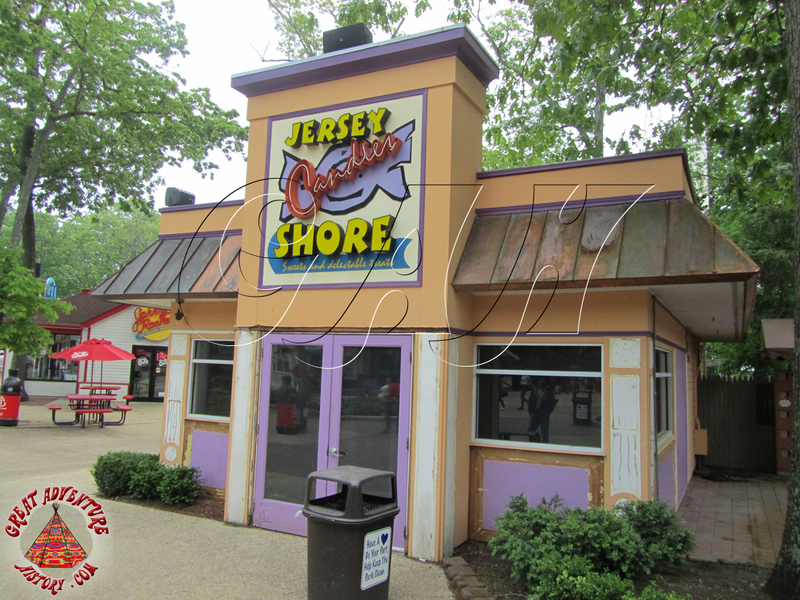 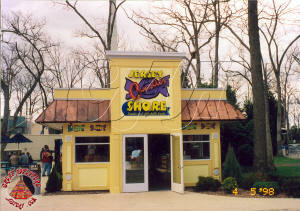 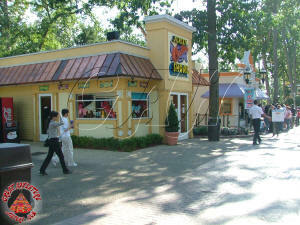 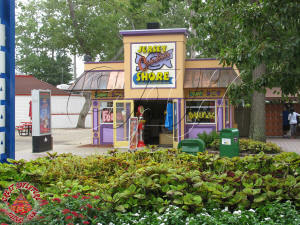 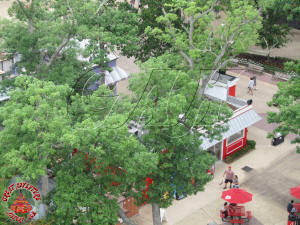 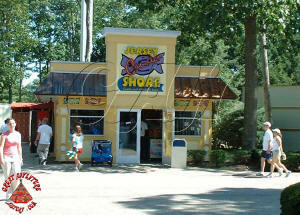 As the 2011 season began, Jersey Shore Candies did not open with the park. 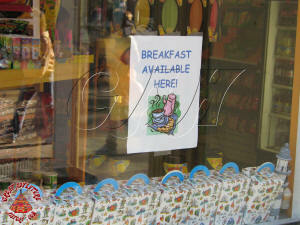 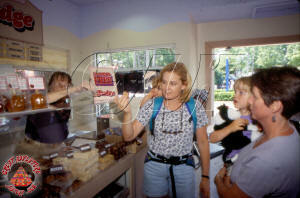 Instead guests were directed to the other shops on Main Street for their candy needs. 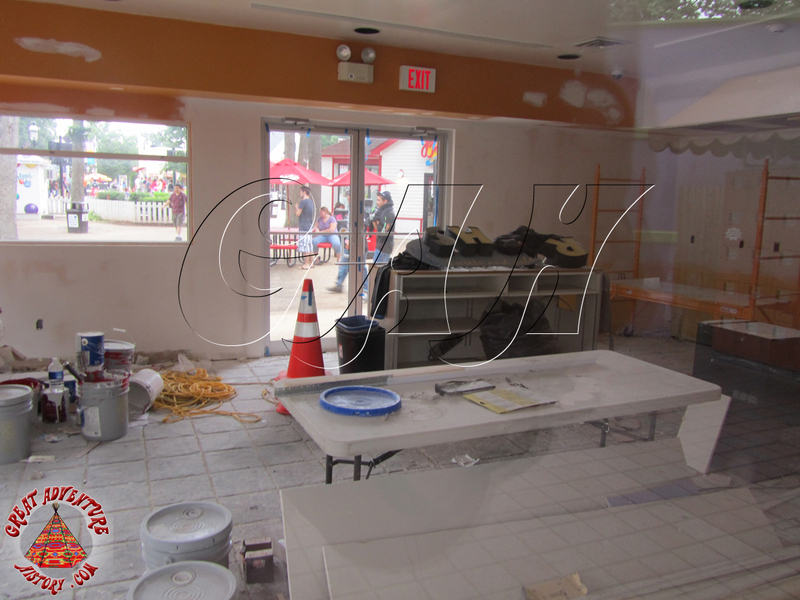 As May came to an end, work began on the building as it started a transformation into something new and unique. 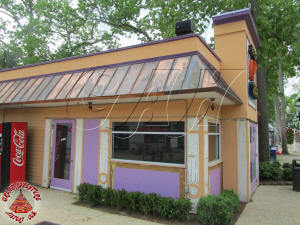 The building underwent a total makeover inside and out. 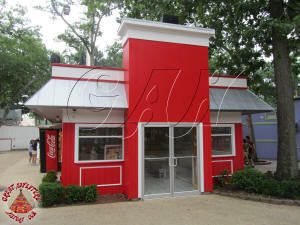 The outside went from the candy pastel colors to a bright red and white. 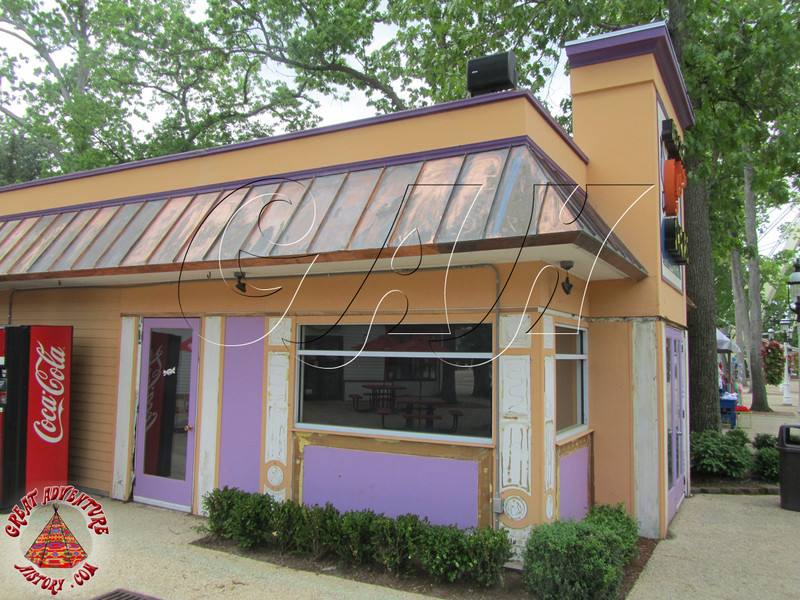 The interior was stripped down and modernized. 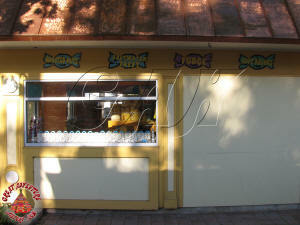 The exterior of the building continued to change with the addition of a stripe and bubbles on the entrance facade. 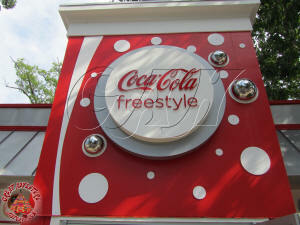 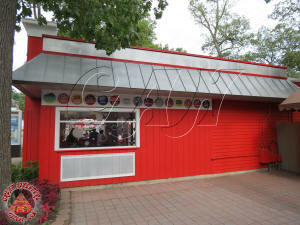 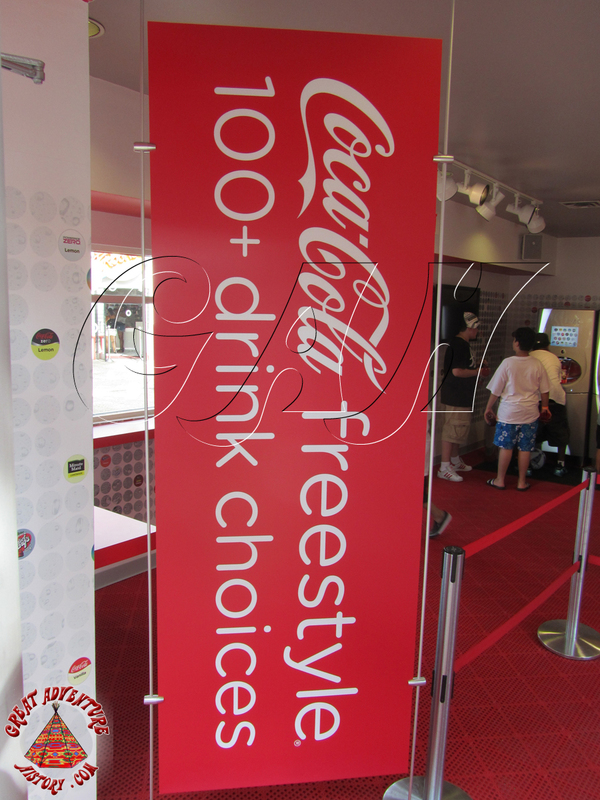 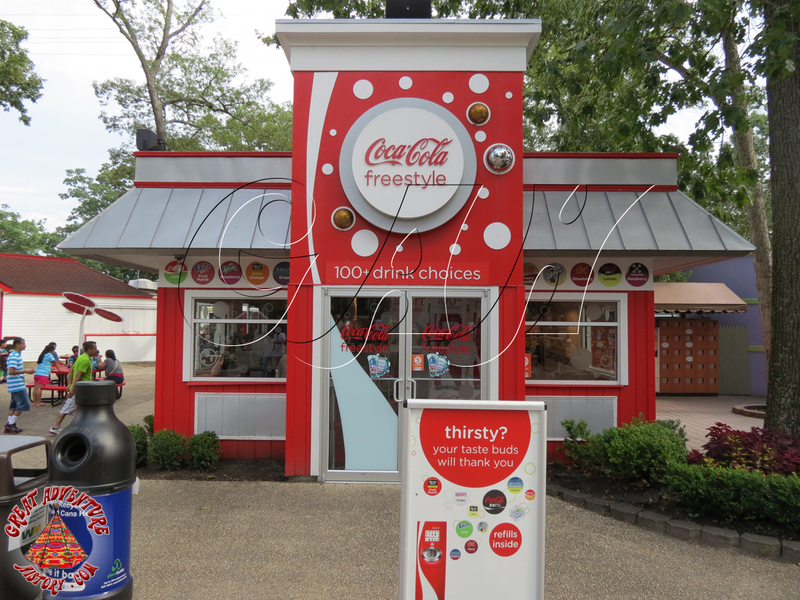 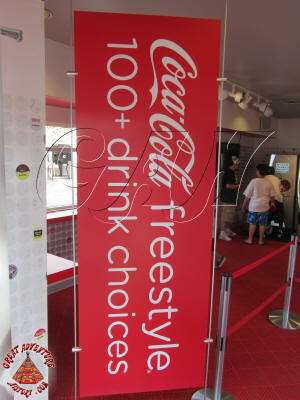 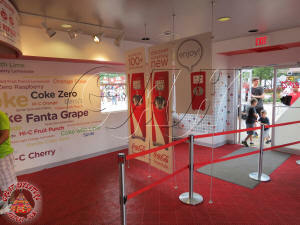 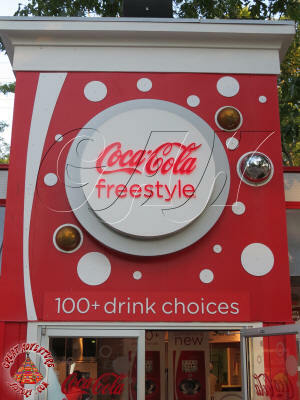 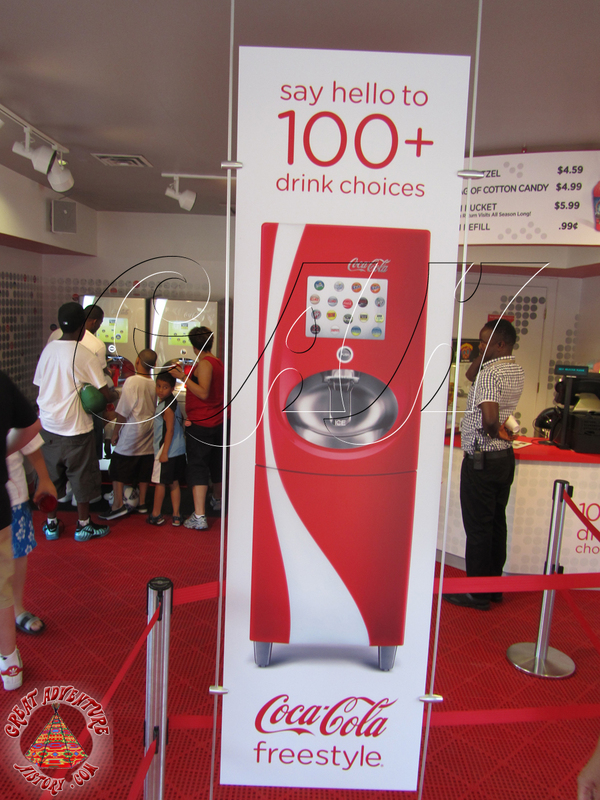 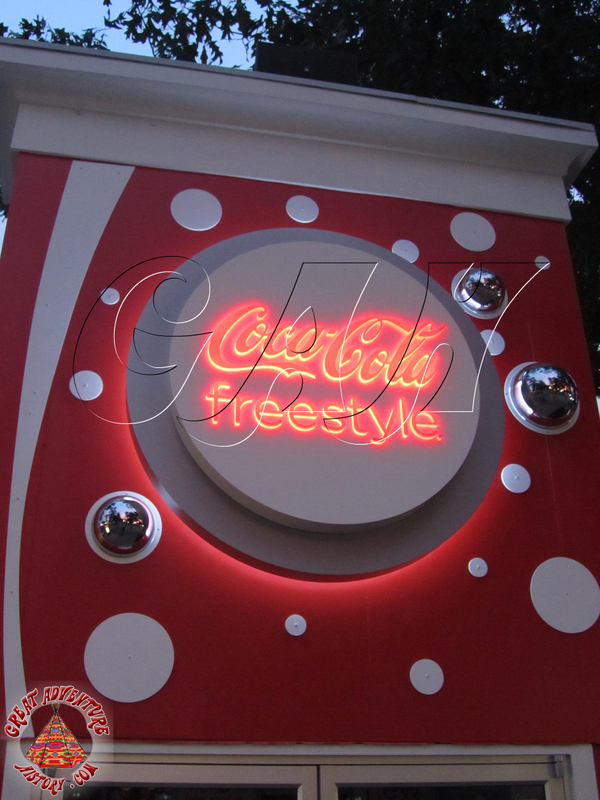 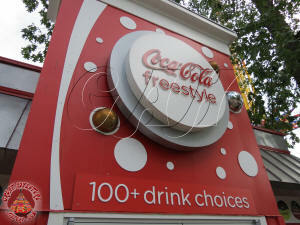 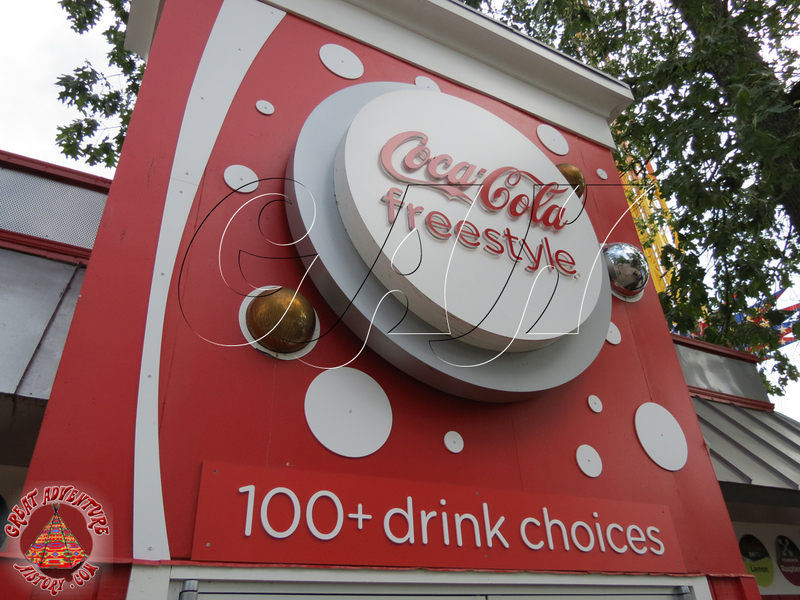 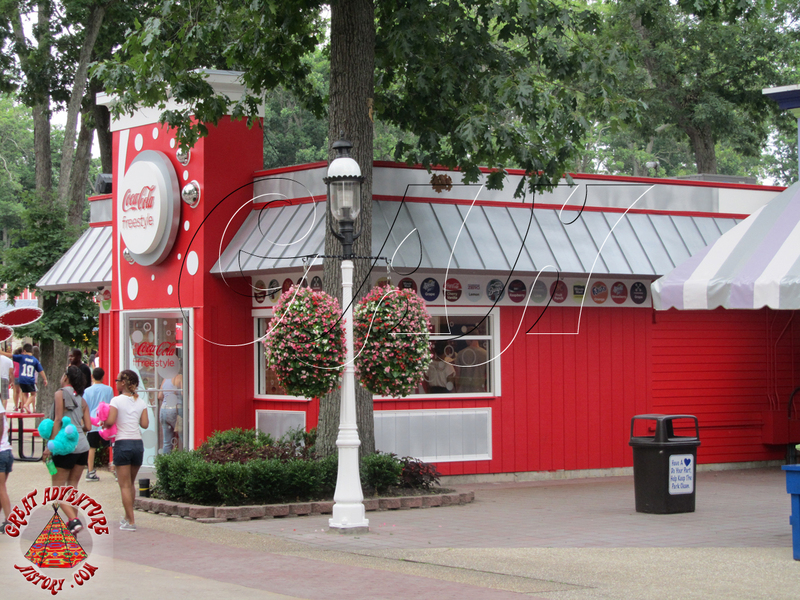 A new sign announcing the arrival of Coca-Cola Freestyle to the park, and the area between the roof and the windows was decorated with the flavors and types of soda that would be available with Coca-Cola's new state-of-the-art Freestyle soda machines. 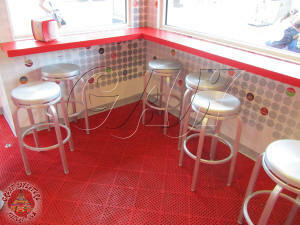 The interior offered a modern take on the traditional soda fountain. 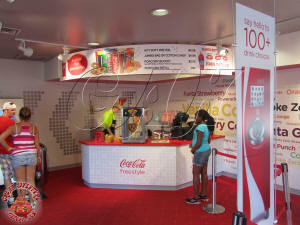 The new machines were some of the first of their kind in the area, offering guests more than 100 drink choices between soda types and flavor syrups. The new Freestyle stand was a huge hit with the park guests who eagerly lined up to try the huge variety of flavors available. 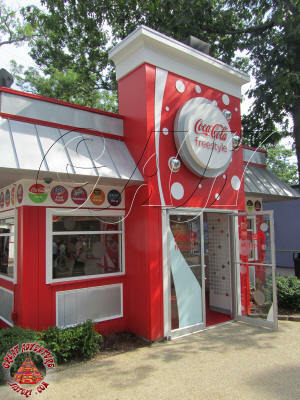 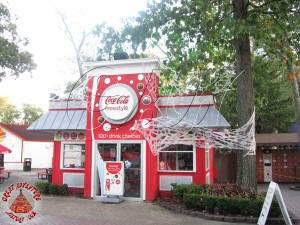 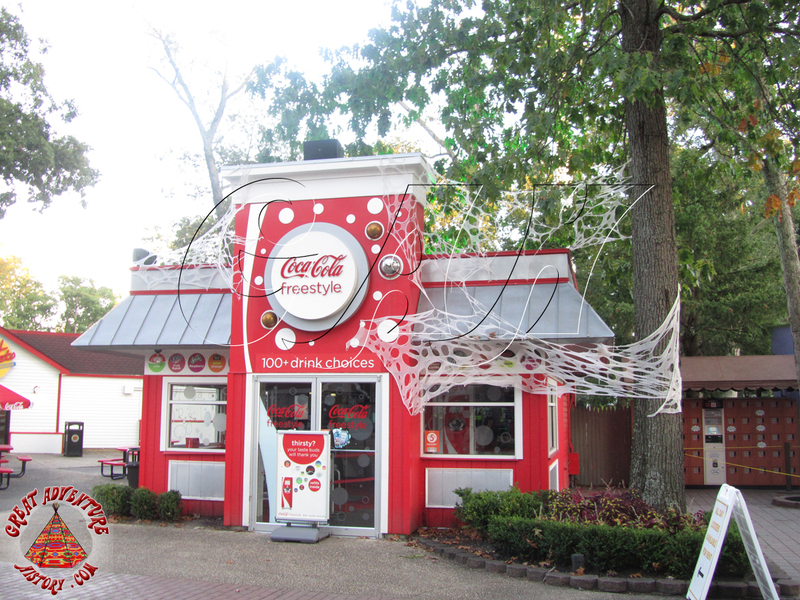 Just like when it opened as Kiss My Cookies, Coca-Cola Freestyle has brought something new and unique to the park's lineup of food and drink offerings.